Single crystalline bismuth nanowire is recently considered as one of the most attractive low dimensional materials for the exploration of exotic higher-order topological properties. However, its growth mechanism by sputtering, which is regarded as one of the most cost-effective and simplest method, is still unrevealed. In this work, a bismuth nanowire growth model based on surface diffusion driven by chemical potential difference among crystal facets is proposed for sputtering method. The morphology evolution of bismuth nanowires is captured for the first time, and three corresponding growth stages are clearly discriminated. The possible self-catalyzed, stress-driven, and screw dislocation-driven nanowire growth mechanisms are precluded separately based on the theoretical and experimental data. The thoroughly understanding of growth mechanism is fundamental and necessary for fabrication of size-controllable bismuth nanowires and may pave the way for the preparation of other low dimensional materials and the investigation of novel physics. This work is supported by the National Natural Science Foundation of China (61474094) and National Basic Research Program of China (2013CB632103). 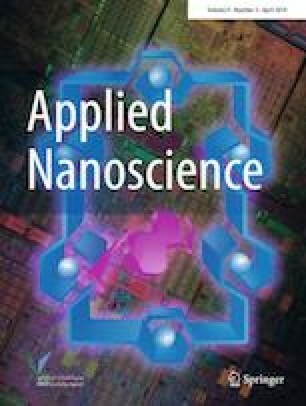 The authors wish to thank Yunyong Zhang for the help of SEM tests and Shuhong Zhang for the assist of TEM and SAED characterization.